XXXTentacion was shot on Monday and pronounced dead. He was rushed to a local hospital, where he was pronounced dead by the Broward Co. Sheriff’s Department, according to TMZ. 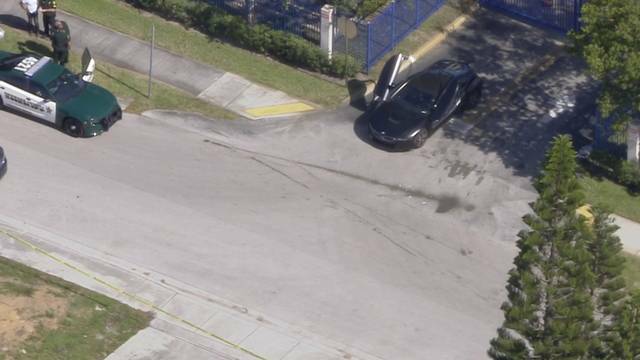 Rapper XXXTentacion was shot in the Miami area today, according to TMZ. Witnesses on the scene have posted graphic images of the rapper seated motionless in a BMW. Broward Sheriff Fire Rescue officials said the victim was taken to Broward Health North as a trauma alert. His condition wasn’t immediately confirmed by authorities, but TMZ reported that the rapper, who was born Jahseh Onfroy in Plantation, didn’t have a pulse. TMZ reported that the 20-year-old rapper was leaving a motorcycle dealership when he was shot. Cellphone video taken at the scene shows the unconscious rapper in the driver’s seat of his car after the shooting. A possible drive-by shooting and the shooter or shooters apparently fled the scene in a black Dodge Journey. Just an hour before the shooting, the rapper stated via Instagram that he was planning a charity event in Miami this weekend.